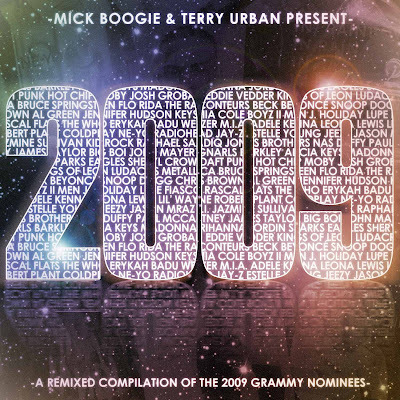 Mick Boogie and Terry Urban bring a remixed compilation of the 2009 Grammy Nominees. There are a couple on here that I’ll probably delete pretty quickly, but Mick and Terry always come with some mind blowing mash ups, so don’t sleep. Check the tracklist and download the album below. Thanks to iLLroots. If you missed it, check out Terry Urban’s How My Brain Works. Crazy mash ups.